I went to town yesterday, going to town for me means a 3 hour drive (one way! ), we do have closer towns but to go to one that has any real shopping, it means a day trip. I have never been wowed by a regular graphite pencil before, but these are pretty good, they are smooth and lay down a good line of graphite, they blend well too. You should be able to pick up a box of Ticonderoga pencils at any decent art supply store, they are prices inexpensively enough, if you have a Hobby Lobby nearby, you can sign up for their email newsletter and they will send you a 40% off coupon each month. The other thing I purchased there was a 10 piece pencil set by Pro Art. These have 7 graphite pencils from 2H to 6B in hardness, it also contains 3 charcoal pencils in 2B, 4B and 6B (hardness). I played with all of my pencils today, I used to do pencil and charcoal drawings, in the charcoal I used the different hardness' of charcoal in stick form and in vine form, but I've never played with graphite pencils in the different hardness', I had a lot of fun today, sketching, doodling, and shading some of my tangles (see my previous article below with a review on a shading Zentangle book). As promised (teased) last night, here is the review on the book Made in the Shade a Zentangle Workbook by Cris Letourneau. I received this as a birthday gift last week, my friend M asked me what I wanted for my birthday and I quickly jumped on this book, I had been wanting it for a while now. This is a fairly new book, it's 124 pages long so it's no lightweight when it comes to content. As the title suggests, this is all about shading your tangles and doodles. This book is both for the newby and the seasoned doodler, there is something for everyone in here. 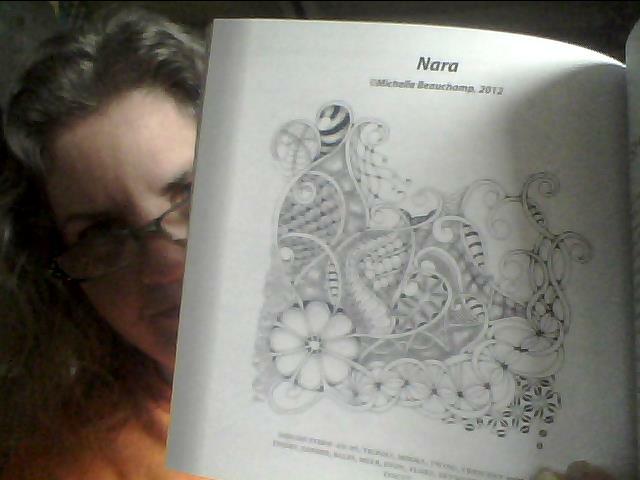 Cris is a CZT, certified Zentangle Teacher which means attended a seminar given by Rick Roberts and Maria Thomas. She has been tangling since October 2010. 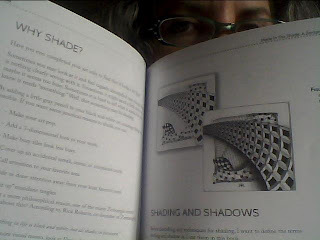 This book is chock full of demonstrations on the various ways you can shade, you can take one doodle and shade it in multiple different ways and come out with completly different works of art. Shading takes an ordinary doodle and makes it pop off of the page, creates depth and complexity that wasn't there before. I have been tangling and doodling for a while now and wanted to take my work to the next level, this book showed me the way to do that. There are many exercises in this book, and room on the pages to practice what she teaches, though she and I recommend that you photocopy the work pages and work from those instead of working directly in your book, that gives you the opportunity to practice more than once on a particular thing, you can also see yourself growing as you learn. You can take an ordinary tangle or doodle and shade it in different ways and end up with different looks, I like to create a tangle then photocopy multiple copies of it so that I can play around with different ways of shading and coloring it. 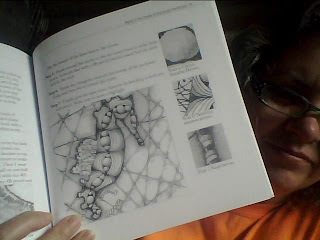 This is one of my favorite pictures in the book, she teaches how she shades a seahorse tangle. The following page is a full page illustration of the unshaded seahorse tangle for you to practice on. 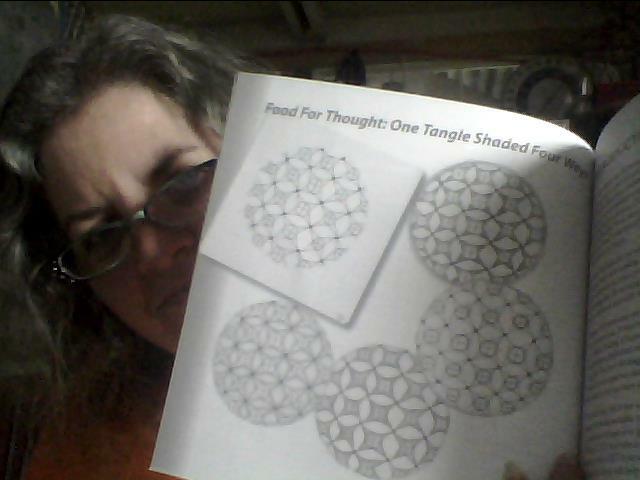 This is the page that sold me on this book, you can clearly see the difference between the unshaded tangle and the shaded one. It really does add depth to your work, making it pop off of the page! This book shows you step by step instructions for shading artistically. I also have a few new goodies purchased in town earlier that will hopefully help me create some new and fantastic Zentangles and doodles with flair! I think you are smart enough to figure out how to make it work. 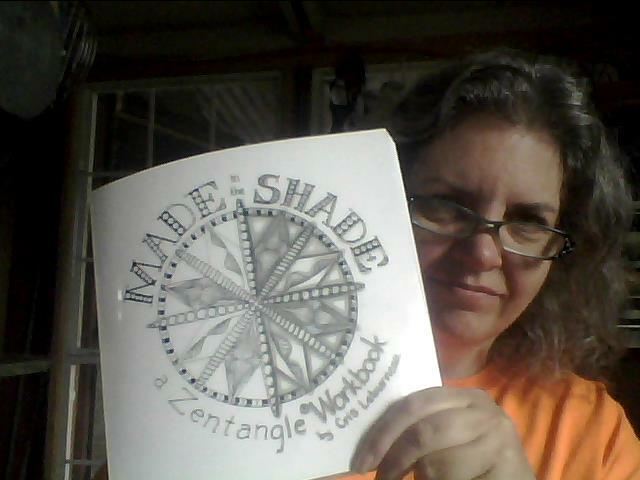 Be sure to put doodle or Zentangle in the subject line.